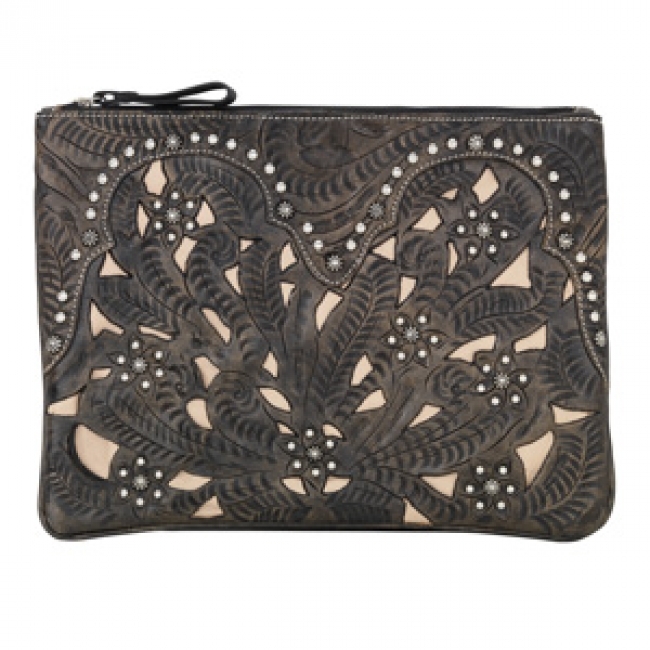 The same hand-tooled, genuine leather that you love in all of their hand bags and wallets now comes to you in this fantastic tablet computer case by American West. Soft tan leather is cut out of rich, chocolate distressed leather, while small silver embellishments detail the design. A zipper closure and fully padded inside keeps your tablet safe on the go. Backed by American West's Lifetime Guarantee! Size: 10 3/4" x 8 1/2"
Zipper closure and fully padded walls.